The above info came from Alexandra Nesta, and was edited by yours truly (contact me). The image came from Nautiljon.com. 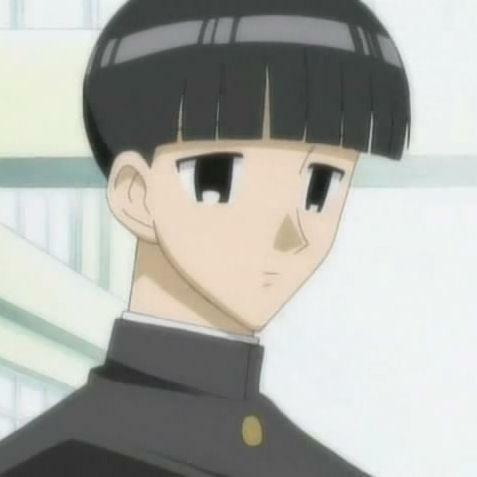 Ooji Karasuma is the guy that Tenma Tsukamoto likes. He is VERY oblivious to the fact that Tenma likes him. When he first got a love letter, no wait... a love scroll from Tenma (yes she wrote a whole scroll), he read through it twice, just to find a name. But he stayed longer because Tenma wrote "please don't go!". He loves curry, which is his favorite food. When Tenma asked him which he liked better, her or Curry, Curry won hands down. He is normally staring out the window in school. The above description came from Alexandra Nesta, and was edited by yours truly (contact me).